Wonderful Wagon: Interview with Liz Nugent. Unravelling Oliver. THE PERFECT MAN. THE PERFECT MONSTER. Straight away I was intrigued. [The first time I hit her] implies a history of domestic violence but by the end of the first chapter, it is revealed the first time Alice was hit once by her husband Oliver, he went to the pub and later on that same evening he beat her into a coma. Oliver’s story is then revealed bit by delicious, tantalising bit through the narrative of several characters; Barney, Michael, Moya, Veronique, Eugene and Oliver himself. I became totally immersed in the story and whilst I believe no one person is 100% evil, there is good in everyone, Oliver was a despicable character. At the same time as a mother, my heart went out to him as a small boy and personally it is this part of his story that made him human and not the monster whose actions caused such devastation. I saw drama and suspense in the way every character was affected by Oliver even though some were unaware of this until the end. A skilful tale, brilliantly told with lots of suspense throughout and some real tense moments. I am delighted to have been given the opportunity to ask Liz a few questions about her book. Hi Liz. Thank you for this opportunity. I really enjoyed your book. Tell us a little about yourself and your background. What were you like in school? I am always interested to hear if authors I enjoy liked English for example. Was there a particular teacher who encouraged your talent? I have to say, Oliver was fascinating. He drew me in straight away! How did you come up with his character? What about Eugene? I found his chapter to be one of the more heart breaking. Which character did you enjoy voicing most? “Eugene was good to write because, despite his learning disability, he was the only one who saw right through Oliver. Oliver never bothered to hide his true nature from Eugene because he didn’t think “an imbecile’s” opinion would matter. But Barney is my favourite character. Barney loved and lost and sacrificed the girl he loved because he thought she deserved better. Poor Barney! I really enjoyed how the story came together through the character’s narrative. The reader doesn’t hear Alice’s voice through a chapter. Was this always your intention? And finally, when can we expect the next novel? I for one cannot wait. Liz Nugent worked as a stage manager in theatres in Ireland and toured internationally. 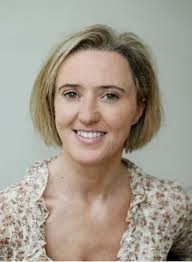 Most recently Liz has written extensively for radio and television drama including RTE’s Fair City. She has been shortlisted for the prestigious Francis McManus Short Story Award. Unravelling Oliver is her first novel and is published by Penguin Ireland. 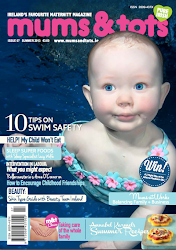 It will be available on 6th March 2014 retailing at €14.99. Great interview Gwen and the book sounds fascinating! Would you consider giving a mention to my psychological thriller published last month. It’s called RICCARTON JUNCTION and you can read a synopsis here. I am trying to raise awareness for it but to be honest, no-one is very interested in psychological thrillers. At least nothing published in the UK. Misery fiction, agents call it; ‘people want escape from their dreary lives’, I am told. 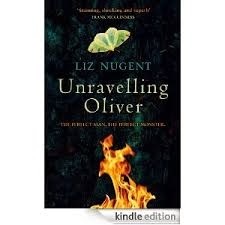 But you recently reviewed a novel called UNRAVELLING OLIVER [Liz Nugent] which covers similar territory to RICCARTON JUNCTION so I am hoping you will be persuaded to give it a go. If you like Riccarton, you will like Train. If you don’t, you won’t.